An article posted on ABS-CBN News saying that the new version of gaming console of the Sony Corp was unveiled at New York. PlayStation 4 unveiled with new features that will allow gamer to stream the play hosted by servers. 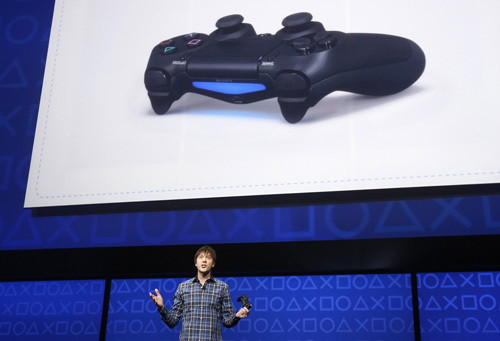 The new PlayStation's controller called "DualShock 4," packs with touchpad, motion control and a "share" button. SONY said, "the console will be part of a new ecosystem focused on hardware, software and the fastest, most powerful gaming network." According to Sony Corp, PlayStation 4 will be first major game console since the PlayStation 3 went on sale in 2006. And beside from the above mentioned features, Sony also revamped the user interface of the new console that keeps tabs on user preferences and added social networking features. For the meantime, please bookmark this page now or visit this site more often for you to be updated. You may also share this post to your friends so they may know about new PlayStation console. Comments or suggestions about "PlayStation 4 unveiled at New York - PS4" is important to us, you may share it by using the comment box below.